Property Info: 3 Bedroom, 3.5 Bath Beachfront Condominium home with approx. 2300 sq. ft. 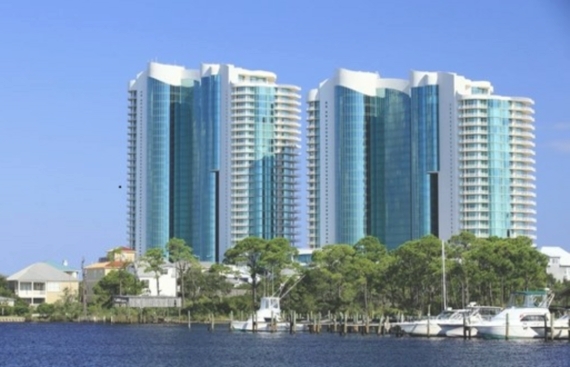 Situated on the emerald waters of Alabama's Gulf Coast, Orange Beach has a subtropical climate and miles of white-sand beaches and access to the interior waterways north of the popular beaches. Visitors can also enjoy a lengthy list of other attractions including Adventure Island, deep-sea fishing, numerous area Golf Courses, the Alabama Gulf Coast Zoo, Waterville USA, The Wharf and more. Enjoy the many popular Orange Beach eateries like Voyagers, Cosmos's, Ginny Lane, Louisiana Lagniappe, Cafe Grazie and more. There are many lodging options in Orange Beach as well - from vacation rentals by owners to luxury beach hotels, there's something for everyone. Whether you’re ready for fun and adventure, a carefree day on the beach, or tasty cuisine - you can find it all on Alabama’s Gulf Coast. Seachase Condo For Sale in Orange Beach Alabama Priced at: $549,900 Info: 3 Bedroom, 2 Bath Beachfront Home with 1500 + sq. ft. Location: 25174 Perdido Beach Boulevard, Orange Beach, AL 36561 Enjoy the view of the gulf from the master bedroom, living area and large balcony. Fully appointed kitchen and an enclosed laundry area with full size washer and dryer..